When I first heard about Scalp Micropigmentation (SMP), I thought, hmm, who would get a scalp tattoo and why? I’ve been a licensed Permanent Makeup Artist and Instructor for over twenty years so I’m very familiar with how the skin handles pigment but still, I was unfamiliar with Scalp Micropigmentation in general. However, the more I educated myself about SMP, and the more incredible results I viewed, the more it made perfect sense and I thought it was an ingenious solution, which is why I immersed myself in the training and practice and am now a certified Scalp Micropigmentation Artist. Scalp Micropigmentation is an incredible, life changing, non-surgical solution for balding, thinning hair, receding hairlines, Alopecia and scar camouflaging. It is very similar to a tattoo, and permanent makeup, in that pigment is implanted into the papillary layer of the dermis (the top layer of skin) to add the appearance of hair follicles. It can take one treatment, or more, depending on the density of hair follicles you are desirous to achieve. 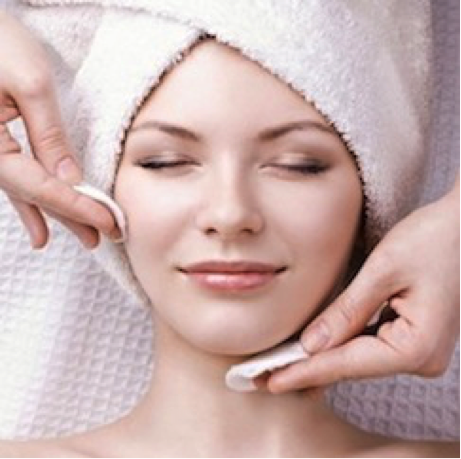 I prepare the skin with a compounded medical grade numbing cream to reduce any sensitivity during the procedure. Most of my clients say that they don’t feel anything and some even fall asleep during the procedure. A full head procedure will take approximately six hours of sitting time and will likely necessitate a touch up procedure after healing. A receding hairline, depending on the amount of work to be done, will usually take approximately two to three hours and may require a touch up. Alopecia patches and scar camouflaging times vary depending on the size of the affected areas. I give all my clients complete and detailed post procedure instructions to ensure the best healing results. The end result is amazing in that the scalp, that was hairless and exposed, is now filled with the authentic appearance of hair follicles providing the look of a fuller head of hair within hours that will last for years. I’ve had clients tell me that even their hair stylists, who have been doing their hair for years, don’t notice anything other than that the sparseness of hair isn’t as noticeable, but they don’t know why and can’t detect anything. I perform Scalp Micropigmentation for both men and women. Although not as common as it is in men, it is not unusual for woman experience hair loss. It can be caused by many factors such as genetics, stress, aging, vitamin deficiencies, candida or a number of other undetectable, and untreatable causes which makes scalp micropigmentation a perfect option to purchasing lotions and potions and having to pray for results. It will give the look of a full, youthful head of hair. It will simulate full front, side and/or rear hairline. It will restore thinning hair with the appearance of a full head of hair follicles. It will camouflage all levels of alopecia. It will camouflage scarring resulting from previous hair transplant surgery. It will hide scars, burns and birthmarks. It will save you money in the long run from having to buy lotions that require a lifetime of usage. It will restore your confidence by giving you the appearance of a full head of hair.